J.R.R. 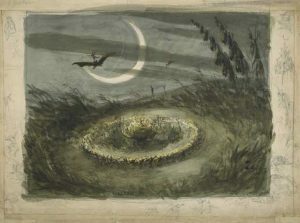 Tolkien’s early works, including a number of poems, the first sketches of his invented languages, and the first version of his mythology we know today fromThe Silmarillion, is positively “infested” by fairies and fairy-like beings, often winged and diminutive, a far cry from the lofty Elves of his later works. 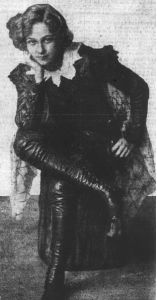 My article, titled “Come sing ye light fairy things tripping so gay”: Victorian Fairies and the Early Work of J. R. R. Tolkien, traces Tolkien’s engagement with his immediate cultural and historical context at the point of composing these early works (1910s): the late Victorian and Edwardian interest in fairies and fairylore. Tolkien later rejected the fairies in his letters, in the appendices of The Lord of the Rings, and in his seminal essay “On Fairy-Stories”. The article, however, closes with what I claim may be Tolkien’s “last word” on the fairies of his early work, now seen in a more sympathetic, self-reflective manner: his late story Smith of Wootton Major.